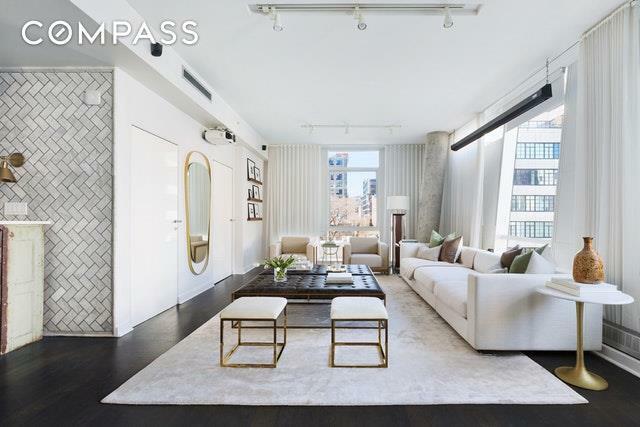 *MAJOR PRICE REDUCTION* NOW ASKING $1766/Sq Ft in West Chelsea / Hudson YardsStep into this palatial 2,349 square foot 2-bedroom (convertible 3 br), 3-bathroom loft showcasing a dramatic backdrop of the iconic High Line. The Della Valle Bernheimer designed full service 24-hour doorman boutique condominium offers an exquisite and intimate lifestyle in prime West Chelsea.Elegantly renovated with attention to detail, this home boasts superior finishes and offers the perfect blend of space, privacy, and views. 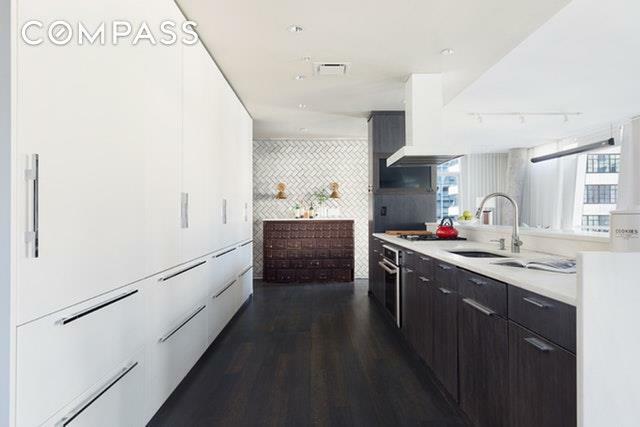 Enter through a private keyed elevator and an entrance gallery provides a perfect venue for artwork. 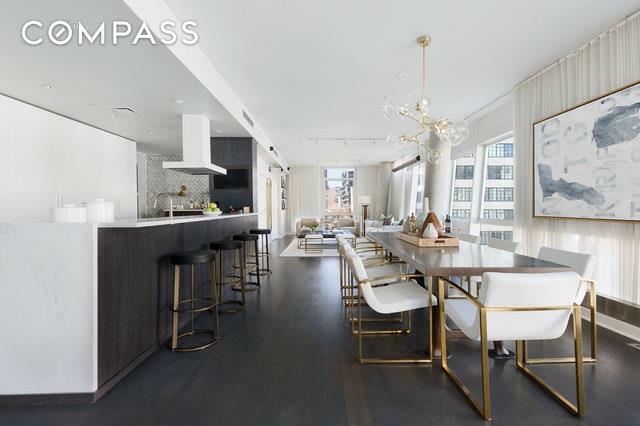 The massive 46-ft living and dining room features stunning views of the Highline, floor to ceiling windows, 5 dark stained oak floors, and custom drapery throughout. Ideal for cooking and entertaining, the customized open chefs kitchen with breakfast nook welcomes you with sleek and complimenting features, 165 calacatta marble countertop, new white Miele range hood, frameless white lacquer cabinetry, built-in flat screen television, and an abundance of cabinet space. Top of the line appliances include Sub-Zero, Thermador and Bosch. The master bedroom has been redesigned to feature an oversized walk-in closet with custom shelving and storage. Designed with relaxation in mind, the fully renovated master bathroom offers radiant heated floors and custom glass-enclosed dual shower with carrara marble walls and floors. The large second bedroom has been outfitted with California closets. A relocated laundry room with new Bosch washer dryer offers a more efficient layout and additional storage space. Separate 7x8 storage unit in the basement is included. Building amenities include 24 hour doorman, concierge services, Yoga room with Peloton Bikes and a Peloton Treadmill, and a furnished outdoor patio. 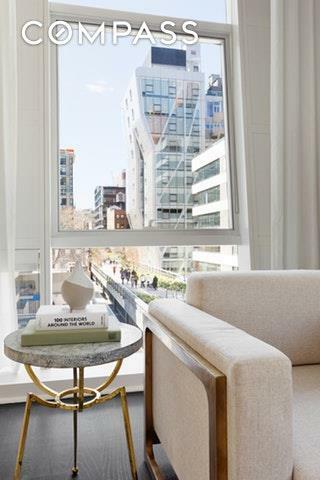 Tailor your own experience of West Chelsea through its evolving suite of offerings with a mix of restaurants, shopping, learning centers, galleries, and the spectacular Hudson River Park. Surround yourself with culture and activity in every direction from Chelsea Piers, Chelsea Market, and the world-renowned Avenues School. This pocket of Manhattan is the beating heart of New Yorks art scene and home to the Whitney Museum of American Art and 200+ art galleries.